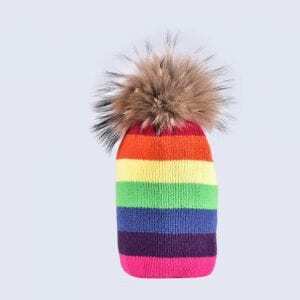 Category: Striped & Rainbow Fur Pom Pom Hats. 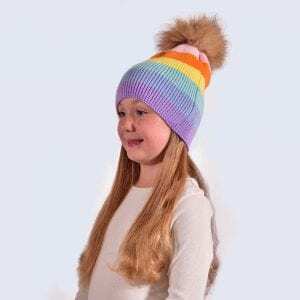 New for AW 17/18 we have designed the ultimate beanie to keep your little ones feeling cheery on those downcast days! 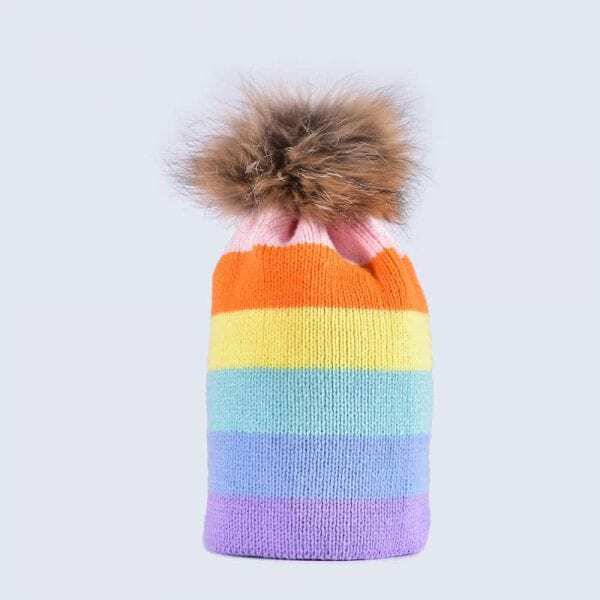 This rainbow striped beanie is both warm and stylish. 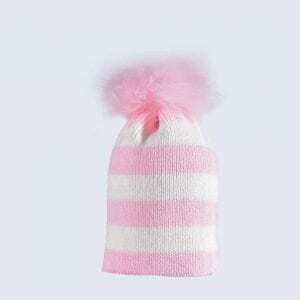 Made from 30% wool these hats are soft and non itchy perfect for little heads. 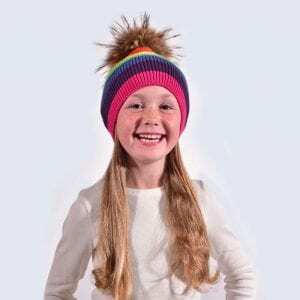 To suit those aged between 2 and 10 approximately.